Saad Hariri says Israel’s operation to destroy Hezbollah terror tunnels should not lead to “any escalation”. Lebanon’s Prime Minister-designate Saad Hariri said on Wednesday that Israel’s operation to destroy Hezbollah terror tunnels that were dug into Israel should not lead to “any escalation”, the Lebanese Naharnet website reported. 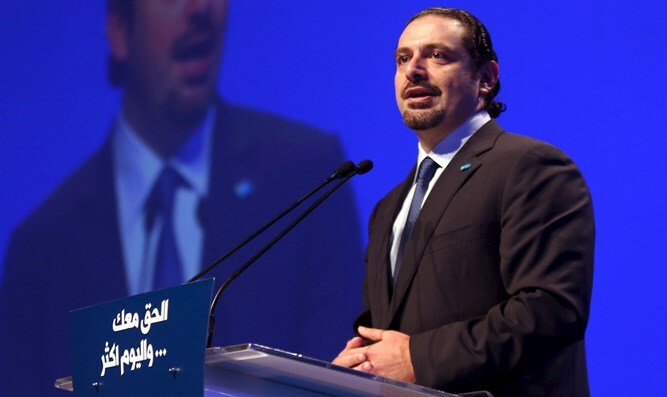 “The developments on the southern border must not represent a reason for any escalation, and this is what Lebanon wants and is seeking with all the international and friendly sides concerned with this,” Hariri said in a statement quoted by the website. “The Lebanese government stresses commitment to the full obligations of Resolution 1701 and to the ongoing coordination and cooperation between Lebanese authorities and UN forces. It also asserts that the responsibility for protecting the border and extending legitimate authority along the entire border falls on the Lebanese Army, in line with the requirements of international legitimacy and the declared resolutions in this regard,” he continued. The country remains at a political deadlock amid disagreements between Hariri and Hezbollah parliamentarians. Hariri, who is backed by Saudi Arabia, included Iranian-backed Hezbollah in his last cabinet.